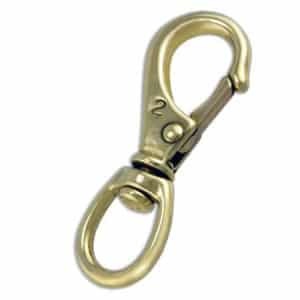 3-3/4” Eye Snap Swivel Brass by Shoreline Marine®. Shoreline Marine Swivel Eye Snap. 3-3/4″ with Loaded Jaw. Brass Construction. Marine Quality Snaps with an Eye Capable of a Full 360 Degree Rotation. Work load 130 lbs. 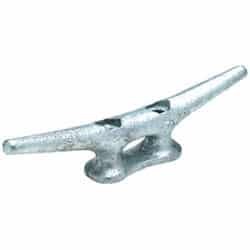 Galvanized, 6 inch, great for docks. 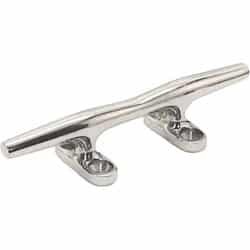 6″ Heavy Duty Stainless Steel Cast Cleat. 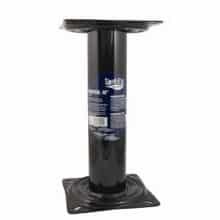 Includes Pre-Drilled Holes for Easy Installation on Docks or Boats. Open Base Design Allows for Use with Multiple Line Sizes. Length: 6” High impact Nylon. UV resistant materials. High strength Universal Pick Up Tube with standard 1/4″ NPT fuel fitting. 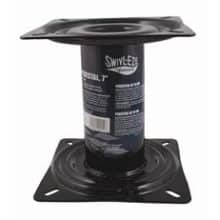 Compatible with Attwood’s new Universal Sprayless Connector (8838US6) and all other standard fuel fittings. 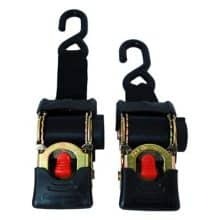 Use with self-sealing fuel fittings (such as Attwood Universal Sprayless Connector). Use thread sealant when connecting fittings. Additional tank capacity for 1:16 2 cycle oil blend (.1875 gallons) plus 5% vapor space for fuel thermal expansion. NOTE: All fuel tanks manufactured after January 1st, 2011 for sale in the United States are required to remain sealed up to a minimum of 5psi per new EPA regulations. This assists in preventing fuel evaporation, saving gas and money. This is normal tank operation. Attwood fuel tanks include an automatic vacuum valve to ensure proper fuel flow and engine operation. All Attwood portable fuel components are designed to exceed OEM engine fuel flow requirements. 304 stainless steel with a plastic body and watertight lamp socket. 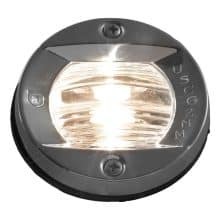 The Round transom light body is translucent so it shines on both sides of a bulkhead! It can be used to light an interior compartment and may also be used as a cockpit courtesy light. Rubber gasket seals lens and body to mounting surface. 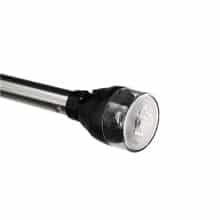 Includes one 7.5-watt lamp and two stainless steel #10 screws. Patented design. Light provides 2-mile, 135° transom visibility for pleasure craft up to 164 ft. (50 meters) in length. Attwood Portable Fuel Tanks are constructed of the same high strength Multi-layer Co-extruded HDPE/EVOH material as found in automotive fuel systems. 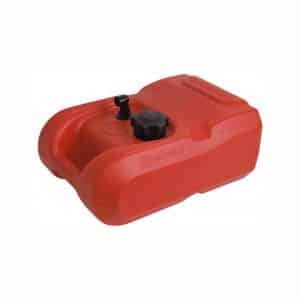 Attood portable fuel tanks are certified to EPA and CARB standards and include an exclusive ratcheting, automatic low-restriction, high-flow fuel cap that ensures proper fuel flow and engine performance in all conditions. Attwood’s exclusive high-flow fuel cap exceeds OEM requirements and reduces wear on fuel pumps improving engine performance and life. Attwood Portable Fuel Tanks are designed for use in all Marine and non-marine small engine applications and will provide years of leak-free performance. NOTE: All fuel tanks manufactured after January 1st, 2011 for sale in the United States are required to remain sealed up to a minumum of 5psi per new EPA regulations. This assists in preventing fuel evaporation, saving gas and money. This is normal tank operation. Attwood fuel tanks include an automatic vacuum valve to ensure proper fuel flow and engine operation. All Attwood portable fuel compoments are designed to exceed OEM engine fuel flow requirements. Perfect for boating, sporting events, and more. 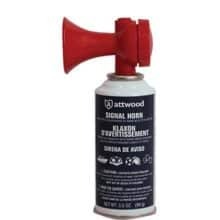 The signal air horn is recommended for boats up to 39.4 ft. All Attwood air horns meet USCG requirements. Available in single or two-pack. The Attwood 8 oz. 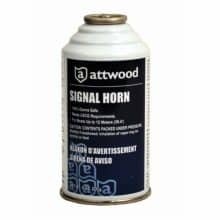 Signal Horn is perfect for boating, sporting events, camping, bicycles. This can be used for boats up to 39.4 ft. This 8 oz. 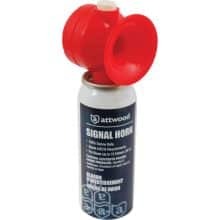 Safety Signal Horn Refill is great for sporting events, camping, bicycles and boats up to 12m long. 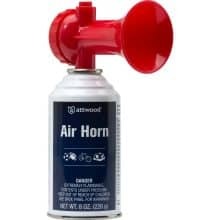 The horn refill is 100% ozone safe, and it meets USCG requirements. Improved light-weight design provides up to two miles of 360° visibility for boats up to 39.4 feet (12 meter). 3 watts at 12VDC. 2-Pin Locking Collar Pole. 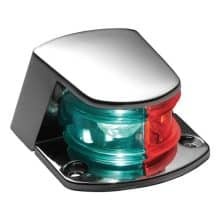 These die-cast Zamak sidelights with Perma-Plate® finish provide one-mile visibility for power boats up to 39.4′ (12 meters). 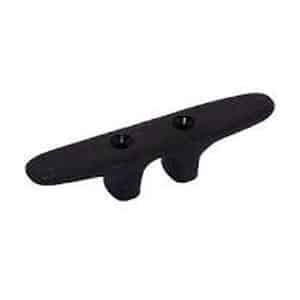 Mounts on decks or gunwales with external screws. Includes 7.5-watt lamp and 7″ hard wire leads for 12 VDC electrical connection. Attwood offers a variety of durable stowaway combination pole-mounted sidelights for bow mounting. 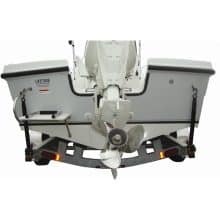 Each features an anodized aluminum pole that raises the light head for visibility above the trolling motor, anchor, or other equipment on the bow. When not in use, lights can be removed from base and stowed, so they won’t interfere with fishing or anchoring. One-mile, 225° red/green light visibility for boats up to 39.4 ft. (12 meters). Includes 8-watt wedge base lamp. The locking collar poles offer “Universal Fit” because customers can use them with a wide variety of Attwood 2- and 3- pin straight or angled bases. Dual drive enhances the pulling capacity by distributing the load equally to two sets of gears. Eliminates frame torque. 2,000-lb. load capacity with 4:1:1 gear ratio. Three-position pawl provides forward, neutral and reverse operations. Black EDC finish. Molded, textured roller grip. Includes a 2″x 20′ nylon web strap with zinc-plated snap hook. Many factors affect the capacity of a winch in pulling a boat. As a rule of thumb, winches may be used with boats up to two times the winch capacity. For example, a 1200-lb. 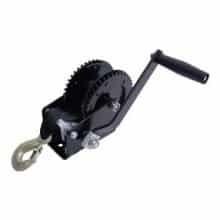 capacity winch may be used on boats up to 2,400 lbs. Caution: Attwood winches are not intended for use as hoists; for lifting, supporting or transporting people; or for lifting loads over people. 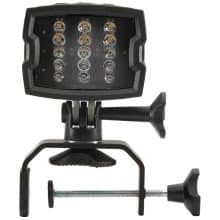 This durable, water-resistant, multi-purpose light can be used as a bright 300 Lumen flood light or 50 Lumen red beam for improved night vision. It also has a UV mode for charging fishing lures and line. Features four mounting options and 360° rotation. 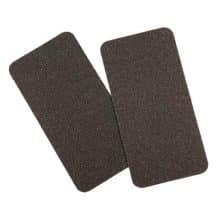 Provide additional safety on trailers, boats, and docks with this 6″ x 12″ pair of non-skid pads. A 100-grade course grit, rugged, anti-slip surface, and a proven adhesive ensure long-lasting performance.